I am fascinated by the local history of this part of England – a history which stretches back into the Stone Age. Cambridgeshire, and the whole of the southeast of England, is steeped in military history in particular and that is my personal focus in writing. How did you learn to do historical research? It is a mix of professional experience and academic training. Professionally, I served in the Navy for many years, a position that evolved into me conducting general staff work, research, and analytical writing. Academically, my undergraduate work focused on history and international studies. I conducted my postgraduate work in international relations and historical research. You seem to know a lot about the military. How did you learn these things? One certainly doesn’t need a background in the armed forces to thoroughly understand military history, but I feel that it has helped me. I joined the Navy directly out of university, receiving a commission and reporting to my first ship within months of an initial training pipeline. After years onboard her, deploying across the world and visiting many fascinating countries, I reported to my second ship and served on the Mediterranean Station. This was my first long-term experience is southern Europe and my fascination with military history blossomed. One morning I was sitting in a briefing to a senior admiral and his staff, behind the conference table against a wall as a young staff officer in the navy would be expected to, and I realized that the sprawling NATO facility I was in (now closed and dismantled) and the cavernous office I was in had been seized by the Allies after the Second World War. Most shockingly, the suite of rooms we were sitting in had been physically used by Mussolini during the fascist years when he was working from southern Italy. It was eerie and certainly made me wonder what decision making process had led to the continued use of this building decades later. It is moments like that when one realizes that the past and the present are more connected than one would like and that history is a continuum connecting us to the past – and we are certainly not separated from it. After moving around the world with the military, my family and I settled permanently in Cambridgeshire. You say this site is about Cambridgeshire’s Military History, but you write about other shires, greater England, and occasionally different parts of Europe. Why is that? The research you do on old airfields, on individuals, etc. is very interesting to me. Would you be willing to do specific research on a family member or friend of mine, to delve into their story? The short answer is yes, I certainly would. 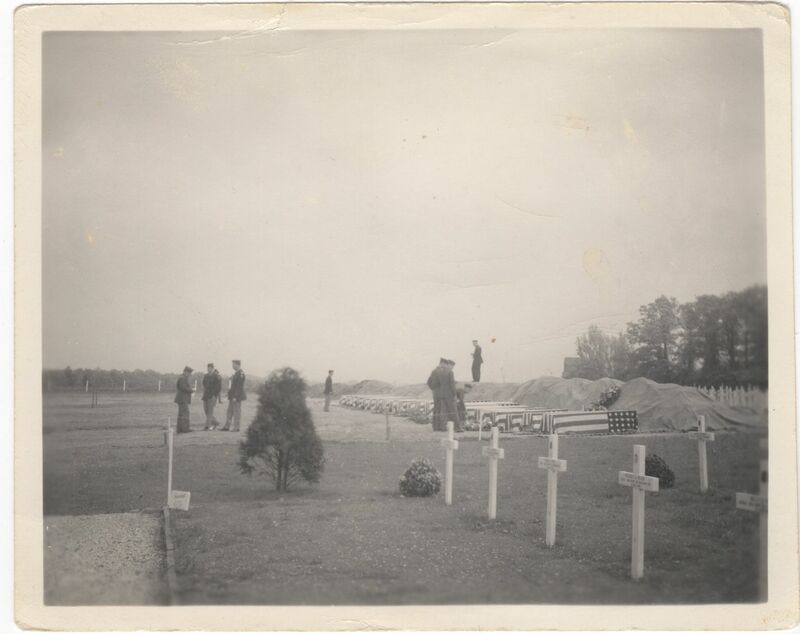 A few months ago, I was provided with an undated photo of several U.S. 8th Air Force officers burying crewmembers and through research and talking with fellow historians, we discovered that the photograph was taken on the land that is now the Cambridge American Cemetery. It is on this beautiful, haunting land which is maintained as a monument and resting place for thousands of U.S. servicemen and a handful of RAF personnel and civilians. The land was used as an interim cemetery for servicemen who died during the war, and we believe that this photo was taken during that period. One would be amazed at the amount of information that can be obtained from a photo – unit patches on sleeves, buildings in the background, vehicles and aircraft years of production, and so on. Please contact me regarding specific research projects. I would very much welcome the opportunity to discuss them on a case-by-case basis. I have conducted in-depth research on members of my own family – my Grandfather flew out of RAF Mildenhall – and would be willing to discuss that with you, so please send me a note. The photo of the temporary use of the land that would become the Cambridge American Cemetery. Probably 1944 or early 1945. Unknown photographer. Would you help me find an old RAF station that a friend or relative flew from? Yes, I would. I would love to hear your story – or that of your relative or friend – and share that and to honor the sacrifices they made. Contact me and let’s discuss it. A few weeks ago I had the privilege to take a group on a tour of the Cambridge American Cemetery and I am happy that they were touched by the true-stories of sacrifice I related to them, but honestly, I was more touched by their experiences and stories of their Grandfather who flew from England during the Second World War. Would you be willing to do some historical research on our village, church, or the War memorials that are so common around Cambridgeshire? Yes, I certainly would. In fact, I am trying to delve through the fascinating and ancient history of my own village which was mentioned in Domesday Book and was settled by the Danes in the time of the Viking raids in the dark ages. Please contact me and let’s discuss the project. I would gladly come and speak to a group about local history; send me a note. I am fascinated by your photography, could I use your photos for my own website? Part of the enjoyment of research is traveling to the place where history occurred and documenting it. I have been particularly fascinated at documenting change – seeing a photograph of a street corner from an archive and then documenting that street corner today. The photo is then published along with its context, so that others can learn and enjoy the experience as well. 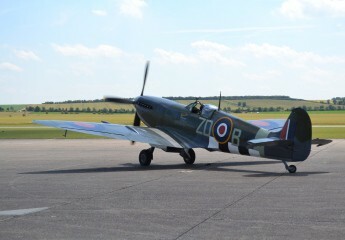 So, on that note, I am very happy for anyone to use the photographs on my website that are taken by me (they will have © cambridgemilitaryhistory.com in the caption) for their own purposes. I would ask that you attribute the photograph by putting the http://www.cambridgemilitaryhistory.com link and accurately reflect what the picture shows. Contact me if you would like a acquire a high resolution photograph I have taken. For the photos I use that are from an archive, museum, or another website – I have ensured the proper attribution has been made and I would ask you to go directly to the source to use those photos. There is a contact link below and on the site which will send me a direct email. I will promptly reply to you and very much appreciate communicating with my readers. I would love to hear your story as well. Also, feel free to post a comment on any of the posts that adds to the dialogue that is sharing and learning about history.